After the best summer on record since 1976 and a delightfully mild start to winter, it is sadly time to accept that "proper" winter is finally here and with it comes a barrage of fresh challenges for the dedicated, year-round motorcyclist. With the nights drawing in at an alarming rate between now and Friday, 21 December, for many riders it's now dark on the way home from work and - for some - dark on the way into the office, too. This can be quite a daunting prospect for a new rider and remains challenging for even the most experienced - with the lower temperatures reducing grip levels and fatiguing you more on longer rides. In order to help you stay safe, MCN has enlisted the help of a number of dedicated Blood Bikers, in order to tell others how they stay safe on their motorcycle during the colder climes. 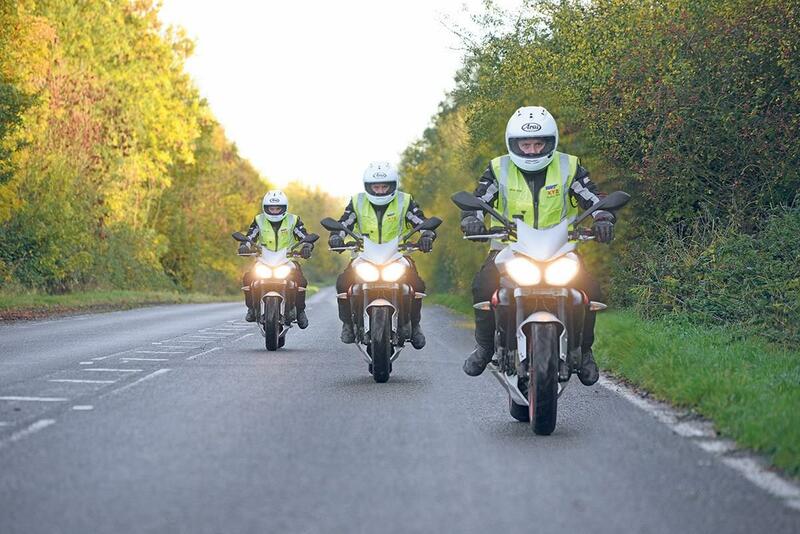 These riders give up their free time to deliver invaluable blood between hospitals all over the United Kingdom. These deliveries take place almost always at night, with the exception of weekends and bank holidays, and always by motorcycle - regardless of the weather conditions. In 2017 the Nationwide Association of Blood Bikes member groups completed a record 73,617 runs, which represented a 30% increase on 2016 and almost three times as many runs as 2012. Over 3000 volunteers now operate a fleet of over 260 motorcycles and cars; without them, health trusts would be forced to pay for taxis or couriers, costing the NHS hundreds of thousands of pounds. Alongside these riders, MCN also spoke to members of the Bedfordshire Police and Fire services, who spend a sizeable amount of time either riding motorcycles or attending incidents sadly involving two-wheelers. "I get through the winter shifts by drinking lots of coffee! I also wear lots of high-visibility clothing - as much as possible, in fact. Being an advanced rider, I also employ a defensive riding technique and try to get away from cars as much as possible. "I believe the most important thing though is to wear lots of layers and remain visible. I wear two pairs of socks with a plastic bag in the middle of both pairs, so even when my feet get wet, they don’t actually get damp. "High-vis is also very important to Blood Bikers because 90% of the work we do is carried out at night. I want to be seen and I don’t want to be knocked off! "The low sun in the morning and the evenings are the biggest problem for us at the moment. The car drivers can’t see each other, so they have no hope of seeing a motorcyclist. In a month or two, the main problem will be the patchy, greasy parts that will catch you out." "The obvious thing for me is to carry out a pre-ride inspection of your bike before every duty known as a POWDER check, which stands for; Petrol, Oil, Water, Drive, Electrics and Rubber. The tyres and the brakes are the most important elements of what’s required here, as you could pick up a leak or a puncture on a ride. "Although it should come as no surprise, there is also a strict ban on alcohol before riding on duty. I’m on duty on Christmas Eve, but I know I can let my hair down on Christmas Day. I was a traffic officer for 30 years though, so this is engrained in my brain. "I think everyone should learn to be an advanced rider and employ defensive riding, too. It protects you more when riding and you’ve got to always be aware that drivers can do things that you wouldn’t ordinarily expect them to do at this time of year." "We operate seven days a week and I try and do one night shift a week alongside my regular job working in a chemical factory. Now it’s got colder, I make sure that every bit of exposed skin is covered up, or it will be freezing cold after around an hour of riding. "I always wear a textile jacket with leather trousers, slightly larger than I need to accommodate a pair of jeans underneath them. If it starts to rain, I simply pop a pair of over trousers on. The leather lasts in the winter weather because I treat it every couple of weeks with boot dubbin. 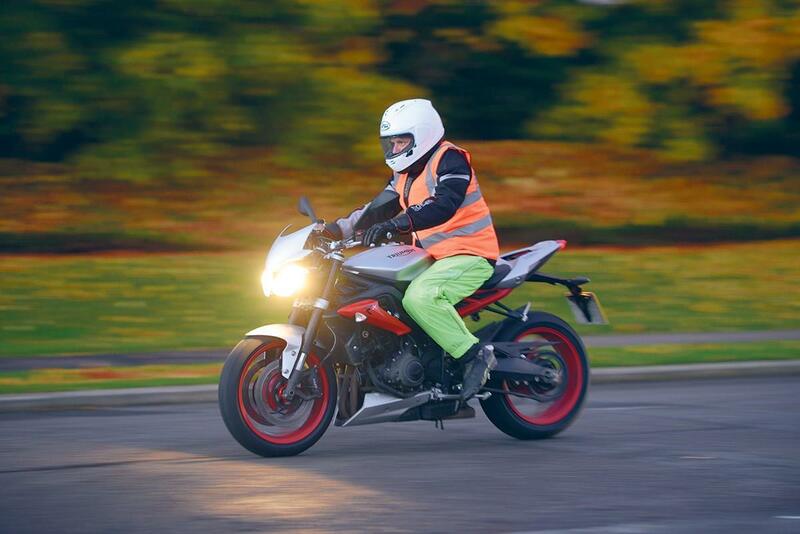 "High-visibility clothing is a requirement of being a Blood Biker, but I think the high-vis we use on the road now is a bit outdated because there’s so much of it. The only way to standout is to do something completely different. 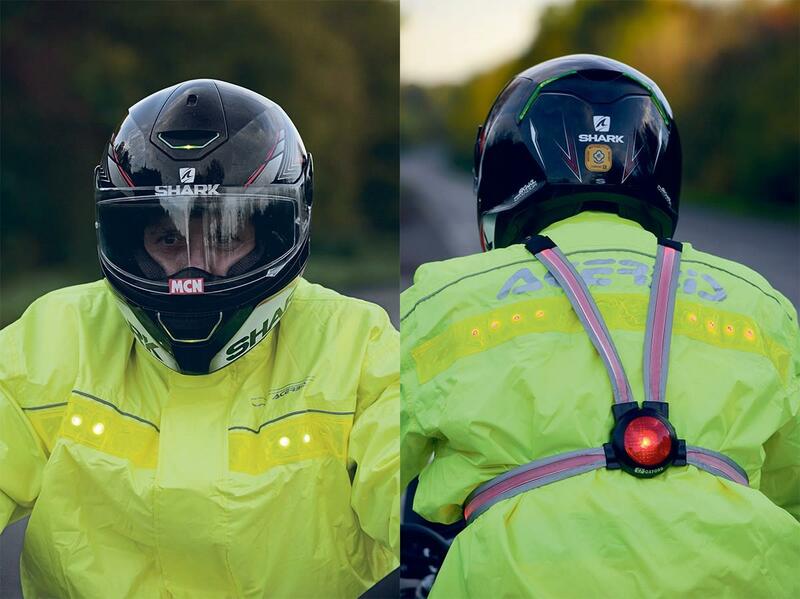 "I’m about to cover my helmet with a fluorescent spray that reflects the light back towards other motorists. It’s £7.99 a can and I’ll have a crack with it to see if it helps. That said – I’d wear a shocking pink helmet if it kept me safe!" "Another thing to look out for is steamed windows. You see people get in their cars at night and they will start driving while the window is still steamed, with only a small square of clear glass offering their only vision. "Every chance you get you should take to have a break, too. Take your riding kit off and get acclimatised to a warmer environment with a brew and something to eat. Take your riding kit off, otherwise you will be sat insulated in your cold clothes and you won’t feel the true benefit of your surroundings." "In general, I am on call once a week however up until last year it was three or four times a week. The most important thing at this time of year is to wear appropriate clothing. "For me, it’s always a Gore-Tex jacket and trousers and proper boots and gloves, with a quality helmet. We also wear high-visibility jackets over our own kit, too. If your kit isn’t up to the job, then it will detract from your riding – whether the weather be too hot or too cold. "As an advanced rider, I treat every motorist I come across differently and will always be wary of other peoples' actions. You’ve got to always be alert – regardless of the time of year – and if you’re not, then chances are you’re not riding to your full potential." But what do the emergency services recommend? 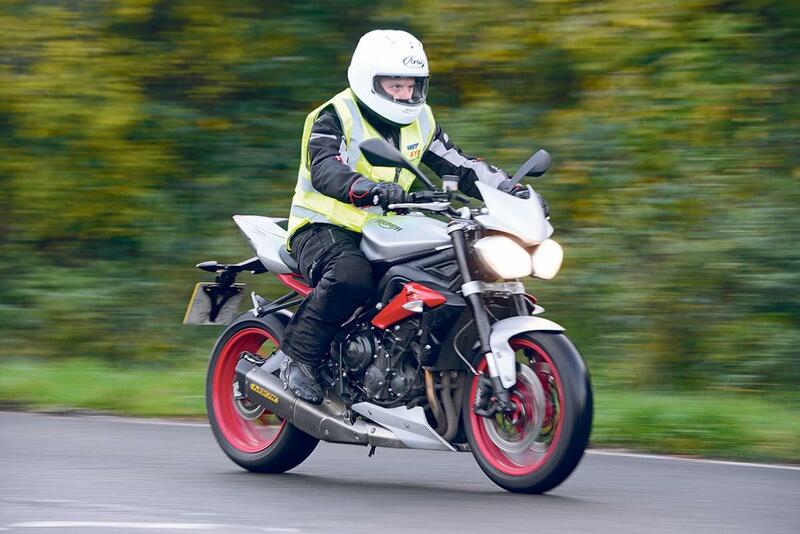 Alongside Blood Bikers, MCN also spoke to Martin Chalkley of Bedfordshire Fire and Rescue service to discover what the emergency services recommend when riding a motorcycle in the colder months. After consulting with a colleague in the Bedfordshire Road Policing Unit, Martin said: "Whilst we encourage people to wear high-vis clothing and to be as visible as possible, there is a thought that it isn’t completely necessary as people become blind to anything over a period of time," he explained. "White helmets (or at least brightly coloured ones) are encouraged due to the movement of the head whilst riding being seen more than anything else." 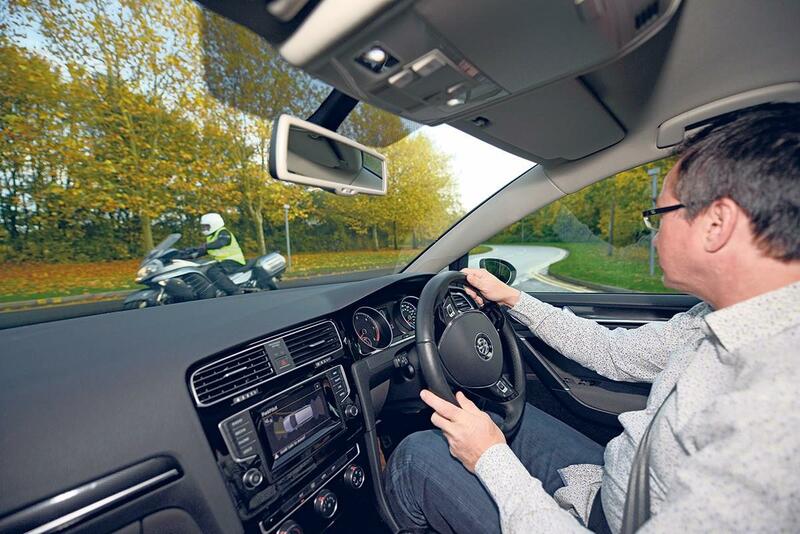 Alongside this, Martin went on to discuss the biggest threats to a motorcyclist at this time of year, saying: "This would be other road users, due to the motorcyclist having no control over their actions and drivers who are not used to driving in winter conditions." 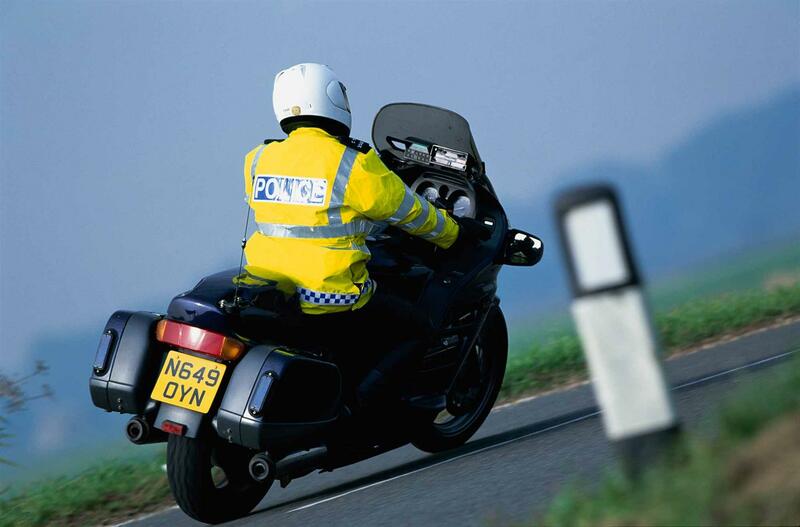 He then added the most common motorcycle accidents in winter time often involve other users at junctions, especially in the low sunshine - as previously stated by Simon Stewart Piercy. This is because the bright light makes it increasingly difficult to see motorcyclists when you approach the junction. You should take an extra second to look before pulling out because of this. He then echoed the words of Simon Dennett above, saying: "You should also be wary of people who drive without clearing windows. "Grip levels on the road can obviously change massively, too," he added. "We should also be looking at any change in the appearance of the road surface, which would indicate frost and so on. Black ice can be a major issue too, as well as diesel spills. "It’s also important to be aware that a lot of debris is washed onto the road in winter, which can also significantly affect grip, particularly when cornering."